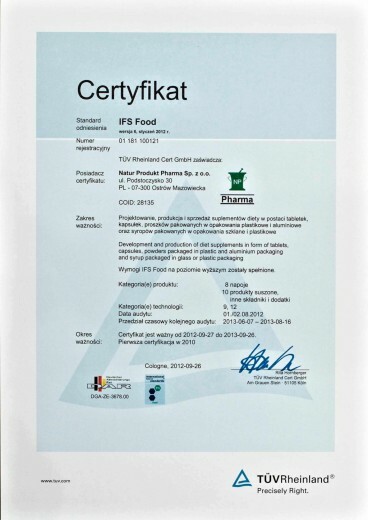 Certificates - NP Pharma Sp. z o. o. 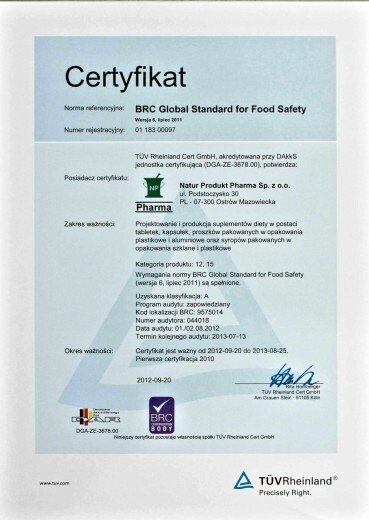 Concerned about the health of consumers, we make sure all medicinal products and foodstuff in our company, aside from efficiency, are characterized by the highest safety and quality. 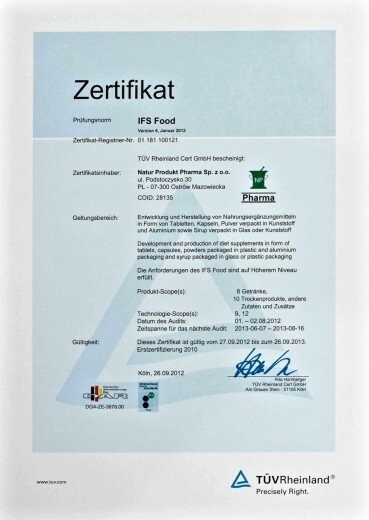 Our products are trusted by millions of people around the world. 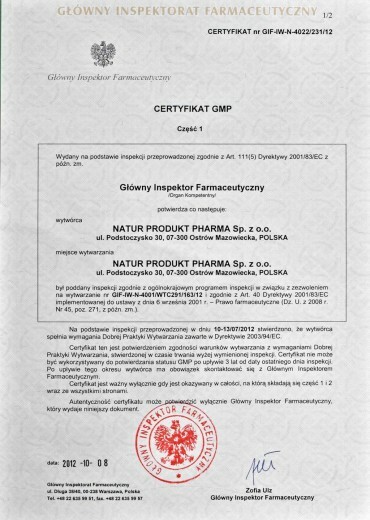 Products such as drug Babicum or Additiva and nutritional supplements, as Brand Magnum and Skrzypovita are leaders in their class. 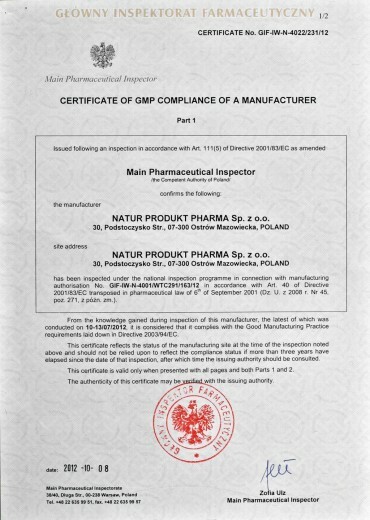 GMP standard ensures high quality of the product, the purity of the raw materials used in product and also the materials and articles intended to come into contact with the product. 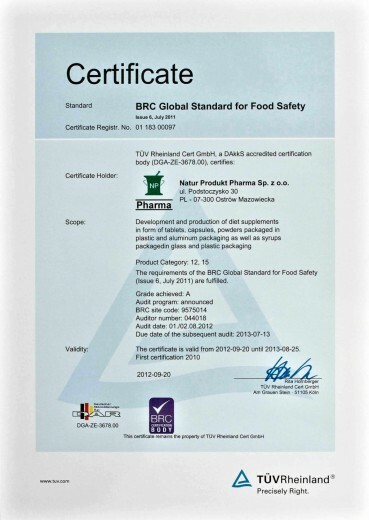 This ensures not only a full control over the quality and origin of the used materials but also the safety of the environment. 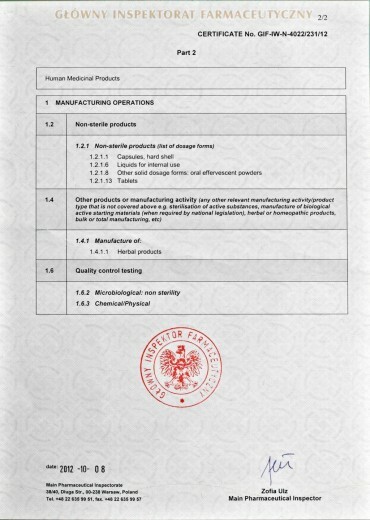 Specifies any requirements that meet the quality management system at the factory. 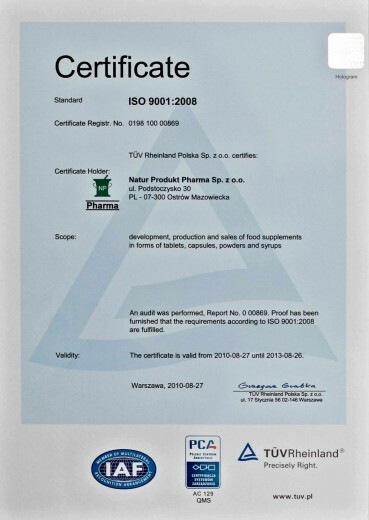 Include the development, manufacture and sale of dietary supplements in the form of tablets, capsules, powder and syrups. 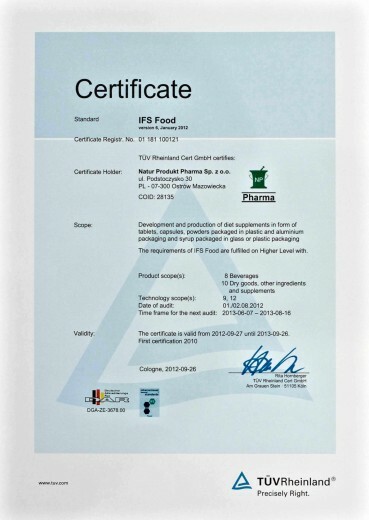 This certificate is a guarantee of competence and capacity of suppliers work among both retail clients and reputable enterpreneurs. 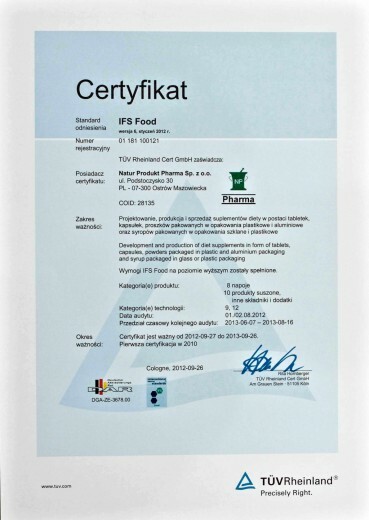 It also exempt customers from performing audit procedures and take off a parst of burden connected with administrative actions. 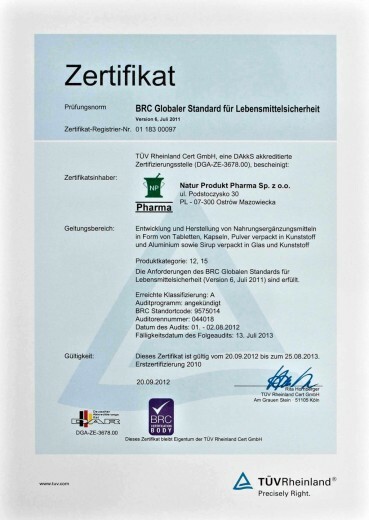 Thanks to the continuous improvement of our workforce and production processes, Natur Produkt Pharma Ltd. ensures the highest quality products that meet global standards.